Design is a broad and ill-defined field. It incorporates so many disciplines and mediums—UX and architecture, interfaces and interiors, fashion design and graphic design. These disparate fields are unified by their method of thinking and problem-solving: the design process. There are countless variations of the design process, even within individual design disciplines, but the foundation remains the same. We define a problem; we engage in a discovery process; we iterate through potential solutions; we polish and refine the result. This is as true for user interfaces as it is for landscapes and automobiles. 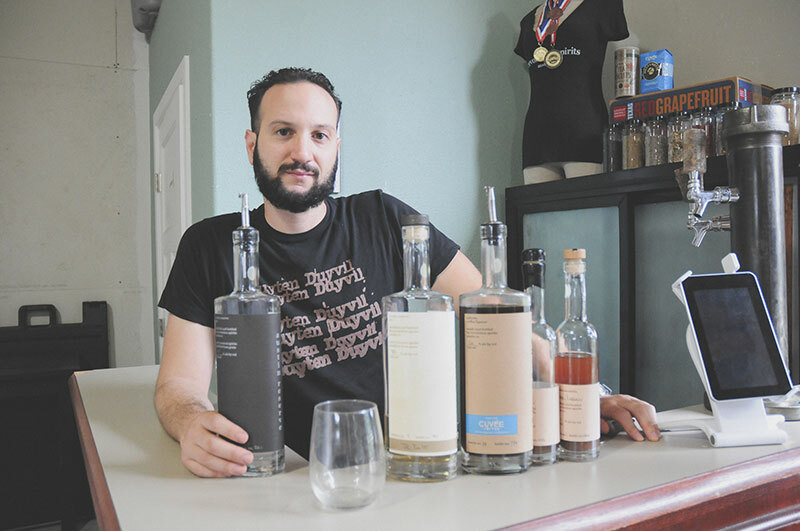 I spoke to Brian Meola, distiller at a startup distillery in Austin, Texas called Revolution Spirits, and he described the process that goes into crafting new recipes. Surprisingly—or maybe not-so-surprisingly—he described something very similar to the standard digital product design process. We talked about his design philosophy, constraints, and the process of developing a new recipe from scratch. There are 2 ways we approach our spirits. 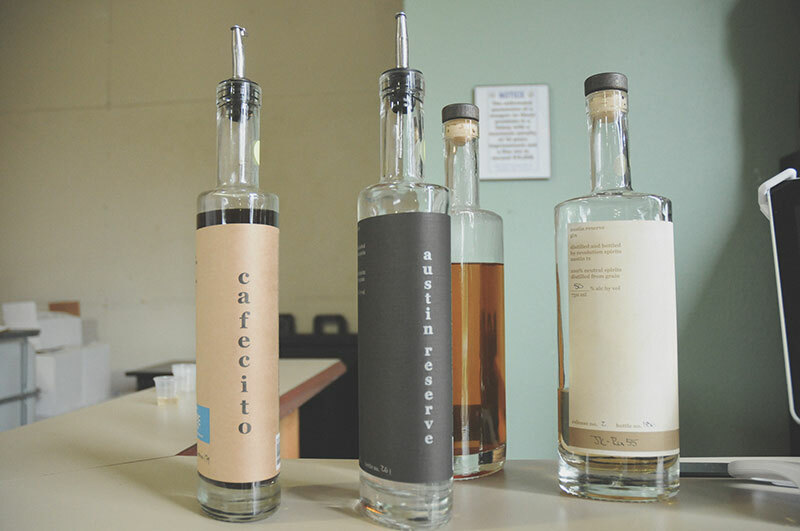 A lot of the stuff we do is very design-oriented—things like gin, or bitters, or amaro. 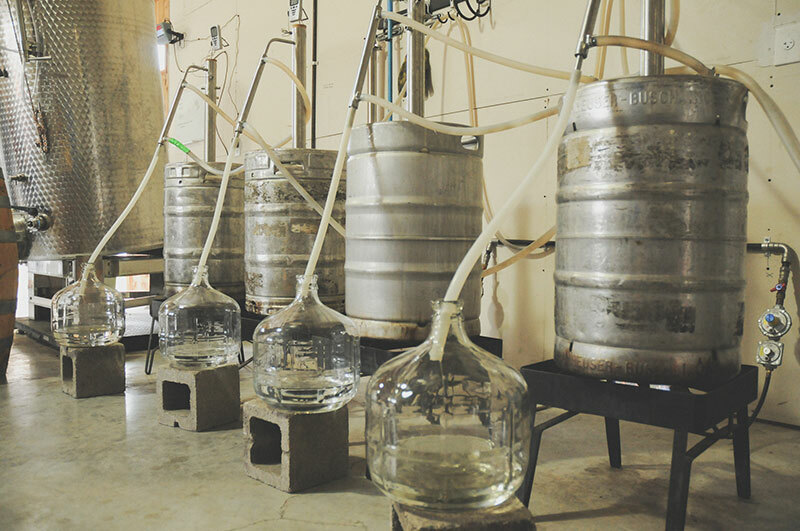 And then we have things that are more of a process, where we let the spirits tell us what they’re going to be—things like whiskey or brandy where we rely on fermentation or mashing or actual distillation character. Those tend to be less designed and more intuitive. Gin is our flagship product, and we really did approach that from a design-oriented perspective. We took all of the ingredients and all of the flavor notes that we wanted, and we of mapped them out and tried to create a complex flavor through the most minimal ingredients possible. It was a very minimalist design. We took 8 or 10 different ingredients and tried them in different combinations, pulled them out, added things back in, ended up with 6 ingredients total on a really wide-ranging layer of the palate. So we were able to create 6 distinct flavor notes and not hit any of the notes in between them, and create a flavor that was really character-full but not overwhelming. None of the elements got in the way of each other. How long does it take for you to know if a recipe is going to be a success? Our failures eventually become successes since so much of the process is about redesigning and reorientation. We can take something that we don’t like and tweak it pretty easily. 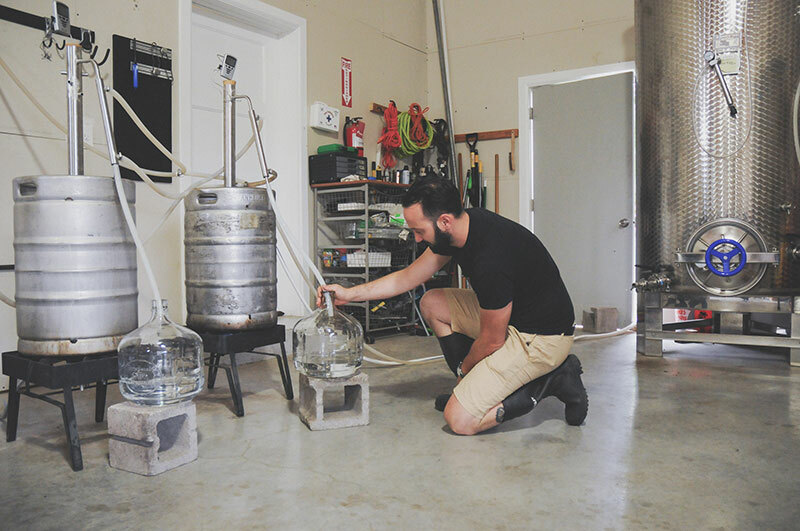 Myself and the other distillers have really well-trained palates and an understanding of process, so we’re really good at taking something and nudging it in the direction we want it to go. What separates you guys from other distilleries? Having that holistic approach and not trying to over-design our recipes, and not trying to force ideas into products. I feel like a lot of people, when they design recipes, take a standard ingredient and then go from there. We take more of a bottom-up approach. We build our recipes and design our products based around flavor notes we want rather than the traditional ingredients that might go in that product. How do you learn a skill like that? I imagine that, considering all the different types of ingredients, it would be difficult to intuit flavor notes without a lot of practice. I worked for 4 years in a tea shop as the tea buyer, and that was probably one of the best experiences for training my palate. Tea is so subtle and you have to pick out such nuanced notes in a tea, as opposed to something more aggressive like a spirit or wine. After that, I was at a brewpub for 2 years doing beer buying, so I’ve had extensive experience with beer and a lot of experience with wine and spirits. I’m also an avid home cook. Developing an understanding of what flavors go well together and how to balance acidity and sweetness and savory umami qualities, comes mostly from experience. As far as applying them into spirits, a lot of that just is learned along the way. I’ve also read a lot about how flavors interact in chemistry. What are the main constraints you have to work within? You have to create a marketable product. 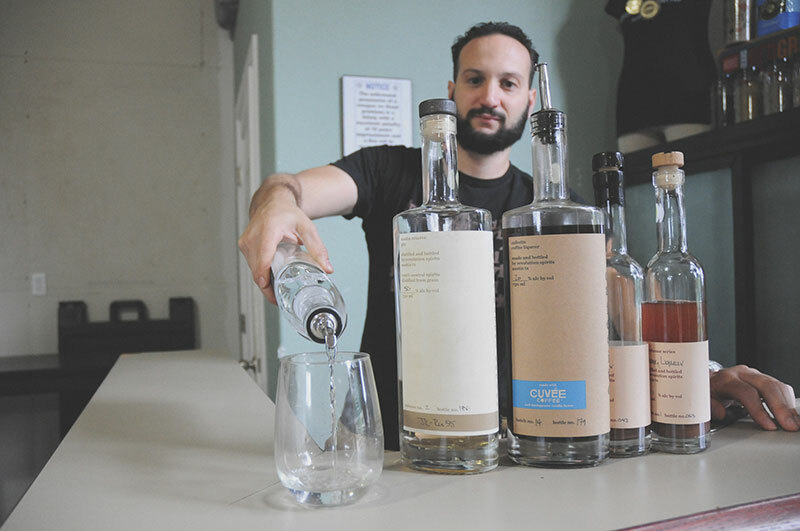 Spirits, especially craft spirits, are still very niche. There’s a lot of brand loyalty, even compared to beer or wine. People are Jack Daniel’s drinkers, or categorically they’re tequila drinkers or bourbon drinkers, while craft beer and craft wine people tend to be more open to new things, especially in the beer world. People are very into experimentation: what’s the newest hop edition, what’s the newest crazy beer you made. Spirits don’t really have that, except on a much smaller scale. We started with a gin partly because gin is a big category. We want to make amaro and we want to make really obscure Italian liquers, but those aren’t the kinds of thing we can introduce as a flagship product. I alluded to it a little bit with the gin, and that’s probably the most illustrative example because it was such a building process. Gin has to have juniper to be gin, so we knew there was going to be juniper at the start. Some of the gins I’ve loved have been really herbaceous and earthy, and we wanted something that would have that note, so we chose rosemary, which is pretty wild here in Texas. There are basically 4 or 5 elements to a gin: some kind of spice, some kind of herb, something citrusy, something floral. We decided to start with as few of those ingredients as possible. We chose Texas grapefruit peel to incorporate a big sense of place, a big terroir element, as the first note. We originally had some lemon verbena, lemongrass, and kaffir lime leaves, but we pulled out most of those. We left just the grapefruit and lemongrass because we found a lot of the same notes and the same depth without having so many ingredients in there. Design is a subtraction process —so we had this big citrus component but we pulled out parts until we were able to get the bare bones evocation of citrus without having too much there. Then we took lavender, another big Texas botanical, as our floral note. That’s an area where a lot of gins will use 3 or 4 different ingredients to get the same flavor note across. We wanted to create something that tasted distinctly like lavender, rather than something that was generically floral. Then we did a lot of side-by-side taste tests with different orientations of those flavors—different ratios, times, and temperatures. Pulling things out, putting things in. Those were the mockups. We did many different incarnations of that design, and we eventually pulled together the ones we definitely wanted in there. Once we got to a final recipe, there was the matter of proofing, which was something else where we let the spirit tell us what it wanted to be. We knew that we wanted a gin that was a little higher proof than most—our gin is 100 proof, and most gin is 80. As we finalized the recipe, we made some down to 90, 95, 100, 105, and 110. Then we did multiple rounds of double-blind taste tests with people we knew and people we didn’t know—people who didn’t know anything about spirits. Everyone hovered around 100, and that’s what we ended up with. It’s an exhaustive process, and we get a lot of commendations on our gin, especially from people who don’t really like gin very much. And I think that’s because we didn’t aim to make a gin, we aimed to make a really flavorful spirit that just happened to have some juniper in it. When I think of “design,” I tend to think of the disciplines I’m most familiar with: UI, UX, digital products. Until I talked with Brian, it never would have crossed my mind to include distilling under that umbrella. Design is a big tent, with room for a huge variety of people and disciplines , all with plenty to learn from one another. 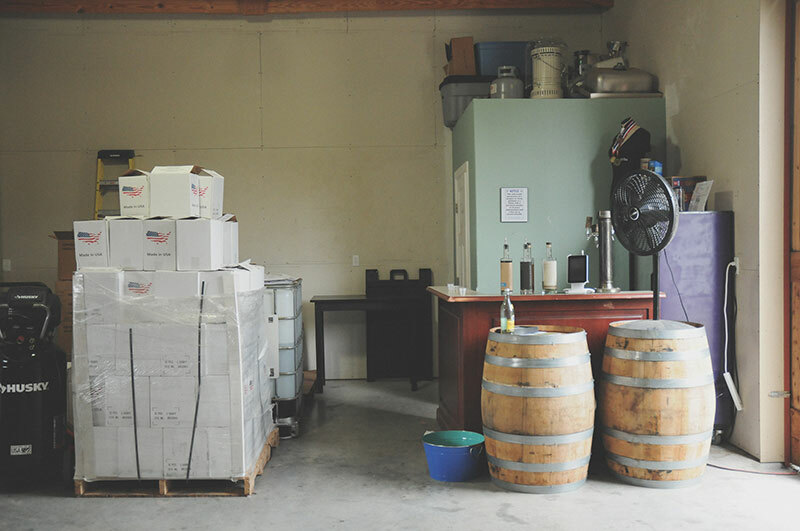 Hearing a distiller talk about designing within constraints and A/B testing recipes is a much-needed reminder that, while the work we do may be new, but it stands on a foundation built by industries much older than ours. Jordan Koschei is the lead product designer at Agrilyst, where he helps build the intelligence platform for indoor agriculture. He was previously the managing editor of The Industry, a digital publication that helped pioneer design-oriented coverage of the startup scene. When not designing, writing, or coding, Jordan can be found enjoying life in New York’s beautiful Hudson Valley.